The international expansion goes hand-in-hand with the positive 2017 forecast announced by Lantek, which projects a 19% increase in revenue, bringing total sales to over €17 million. 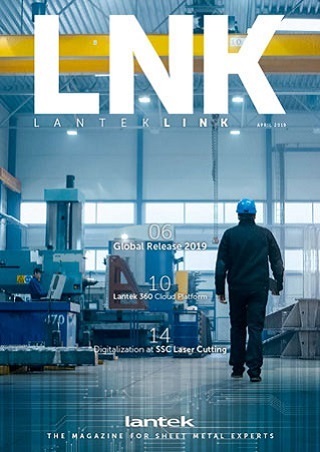 Lantek, as a provider of solutions for the sheet metal industry, has not shied away from the challenges faced by industry as a whole. “During the next few years at Lantek, we will be dedicating our attention to our clients’ digital transformation. We are on the verge of the fourth industrial revolution, which will change production. Because we are committed to growth and supporting our customers’ digitization processes, we are going to expand our R&D budget by more than 1.6 million euros in 2017 and, to support this growth, also iour project implementation and development teams”, says Alberto Martínez. The process digitization embedded in Industry 4.0 will be a decisive moment in the market for both end clients and software developers. “In addition to tailoring our processes and solutions to the demands, we want to help our clients tackle this transformation as effectively as possible”, declares Martínez. Its capacity for innovation and its firm commitment to internationalization and emerging markets have led Lantek, founded in 1986 in the Basque Country and with central offices in Vitoria-Gasteiz (Alava), to devise a global-local strategy, which has meant it has become a global reference within the industry with its CAD/CAM/MES/ERP solutions. Today, the company has over 18,000 customers in over 100 countries and its own offices in 15 countries, in addition to an extensive network of distributors that are present throughout the world. In 2016 its international operations provided 85% of its turnover.